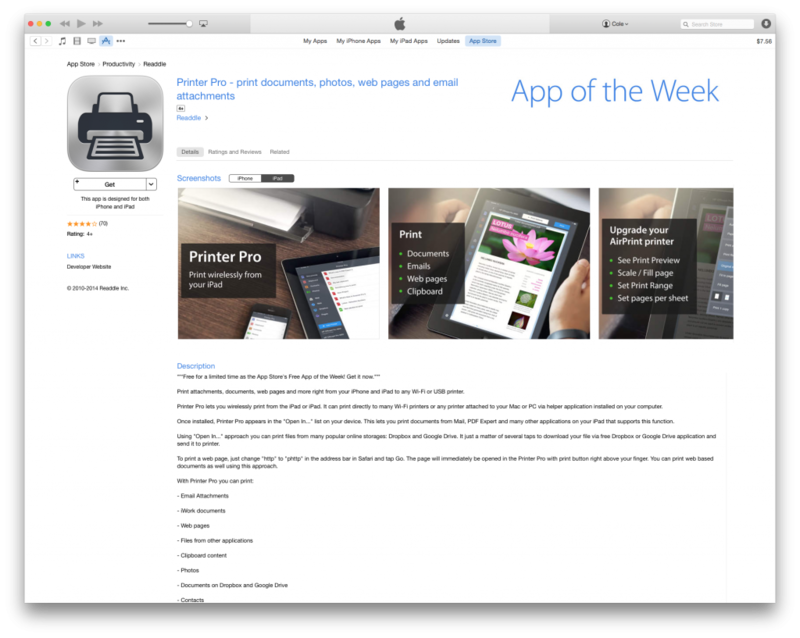 Apple’s app of the week is something called, Printer Pro. It gives you the ability to print from your iPad to a printer that you own. Might be worth the free download.